In the beginning, Curtis Lovejoy would wheel his way to an area near the intersection of Campbellton Road and Delowe Drive. He’d peer out at the ribbon of highway that stretches into the belly of Atlanta, sit for a while, and ruminate. That’s where a driver cut him off on his way to work downtown, causing him to hydroplane and crash into a guardrail. Lovejoy struck a pole and ended up 100 feet down the road. His life, as he knew it, ended that day. Now his mornings are different. Lovejoy hits the pool at the Adamsville Recreation Center by 5:30 a.m. He is an incomplete quadriplegic, which in Lovejoy’s case means he is in a wheelchair and has limited use of his arms. He’s also a competitive swimmer, having represented his country at Paralympic events around the globe. “It’s probably one of the best things that’s ever happened to me,” he says of the 1986 accident. 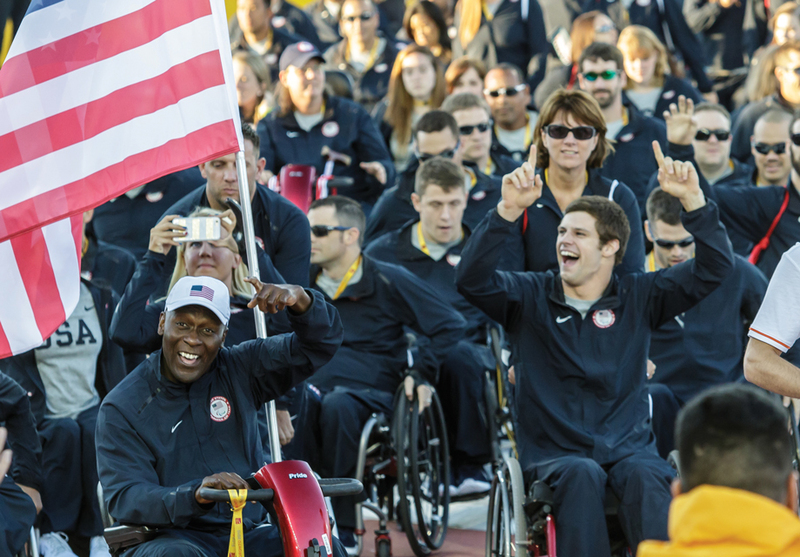 Lovejoy is one of the most accomplished Paralympians in U.S. history. He’s visited with Nelson Mandela and Queen Elizabeth, who, he says, offered him a job after they met at the closing ceremony of the 1995 World Championships. 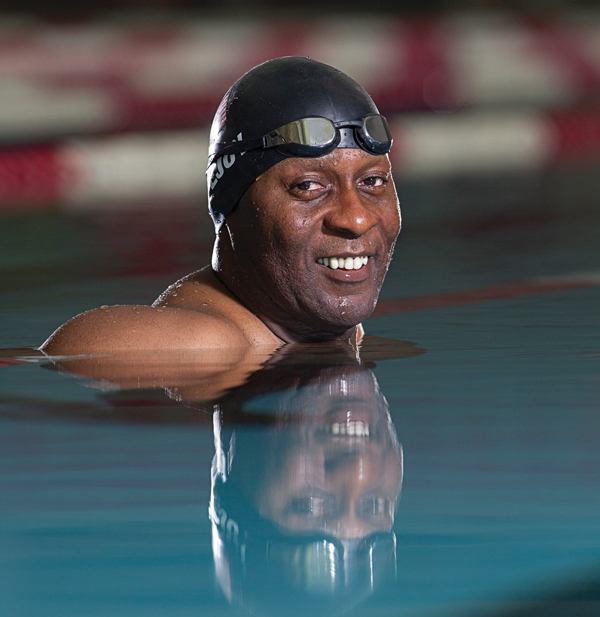 Nine years later, during Paralympic trials held at the Georgia Tech swim center, he set his first world record. Today he holds 10, including in the 100-meter breaststroke and 150-meter individual medley. During therapy, Lovejoy also picked up fencing. “It’s easy because I’ve got a lot of strength and power,” he says. In 2000 he became the first athlete to compete in two unrelated sports in four decades and later the first African American to win gold in two sports. Wins gold in 200-meter freestyle, 50-meter backstroke, and 100-meter backstroke at Spring Swimming Nationals/Can-Am Para-swimming Championship. Breaks own world record in 100-meter breaststroke at 28th International German Championships. Lovejoy will participate in his sixth Paralympic Games.